Below you fill find all funeral homes and cemeteries in or near Maple Plain. Suburbs of Maple Plain: Independence, Medina, Minnetrista, Orono. Their current mayor is Mayor Roger Hackbarth. Zip codes in the city: 55348, 55359, 55393, 55570, 55571, 55574, 55576, 55578, 55579, 55592, 55593.
l shops we partner with. Some of the notable people born here have been: Nate Triplett (american football player). It was disclosed on June 26th, 2016 that Anna N Kins (Neimanis) died in Maple Plain, Minnesota. Send flowers to share your condolences and honor Anna N's life. It was written by Minneapolis Star Tribune on July 6th, 2014 that Marlys Joan Lindholm (Carlson) passed away in Maple Plain, Minnesota. Ms. Lindholm was 85 years old. Send flowers to express your sympathy and honor Marlys Joan's life. It was reported by Minneapolis Star Tribune on June 29th, 2014 that Celestine Verena "Sally" Kinney (Maglich) passed away in Maple Plain, Minnesota. Ms. Kinney was 94 years old. Send flowers to express your sorrow and honor Celestine Verena "Sally"'s life. It was disclosed by Minneapolis Star Tribune on June 24th, 2014 that Kim E Jerde died in Maple Plain, Minnesota. Jerde was 53 years old. Send flowers to share your condolences and honor Kim E's life. It was reported by Minneapolis Star Tribune on May 11th, 2014 that Myrtle B Ferguson passed away in Maple Plain, Minnesota. Ferguson was 94 years old. Send flowers to express your sympathy and honor Myrtle B's life. It was reported on October 16th, 2013 that Grace E Johnson passed on in Maple Plain, Minnesota. Johnson was 96 years old and was born in Grenora, ND. Send flowers to express your sympathy and honor Grace E's life. It was disclosed by Minneapolis Star Tribune on October 13th, 2013 that Judith Anne Miss Cress passed away in Maple Plain, Minnesota. Cress was 54 years old and was born in Los Angeles, CA. Send flowers to express your sorrow and honor Judith Anne Miss's life. It was noted by Minneapolis Star Tribune on March 6th, 2013 that John "Jack" Eyres passed away in Maple Plain, Minnesota. Eyres was 80 years old and was born in LeMars, IA. Send flowers to share your condolences and honor John "Jack"'s life. It was reported by Minneapolis Star Tribune on March 6th, 2013 that John "Jack" Eyres perished in Maple Plain, Minnesota. Eyres was 80 years old and was born in LeMars, IA. Send flowers to express your sympathy and honor John "Jack"'s life. It was noted by Columbus Dispatch on December 24th, 2012 that Danniel H Buelow passed on in Ohio. 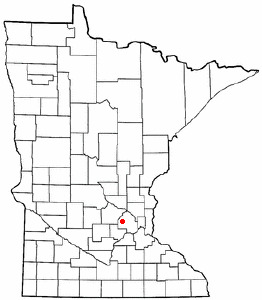 Buelow was 66 years old and was born in Maple Plain, MN. Send flowers to express your sorrow and honor Danniel H's life. Village water came to the town in 1939, sewer in about 1950, and blacktop in 1961. The population was 2,088 at the 2000 census. In 1868 and 1869, the St. Early settlement of the area started in 1854 and revolved around Lake Independence to its North, and its outflow Pioneer Creek. Paul, Pacific and Manitoba Railroad was built through Maple Plain. Listing all funeral homes in Maple Plain, Minnesota so you can easily send flowers to any location (same day delivery) or find any funeral service. Find Maple Plain Minnesota Funeral Homes. Send Funeral Flowers to a Maple Plain Minnesota Funeral Home. 633 companies & businesses in Minnesota. Search or browse our list of companies in MN by category. Maple Plain Minnesota flowers delivered fresher than florists. Maple Plain flower delivery by ProFlowers - your local online florist. Send flowers to Maple Plain Minnesota and experience the freshest flower delivery available. We work with local florists and flower shops to offer same day delivery. You will find budget sympathy flowers in Maple Plain here. Our funeral flowers are cheap in price but not in value.